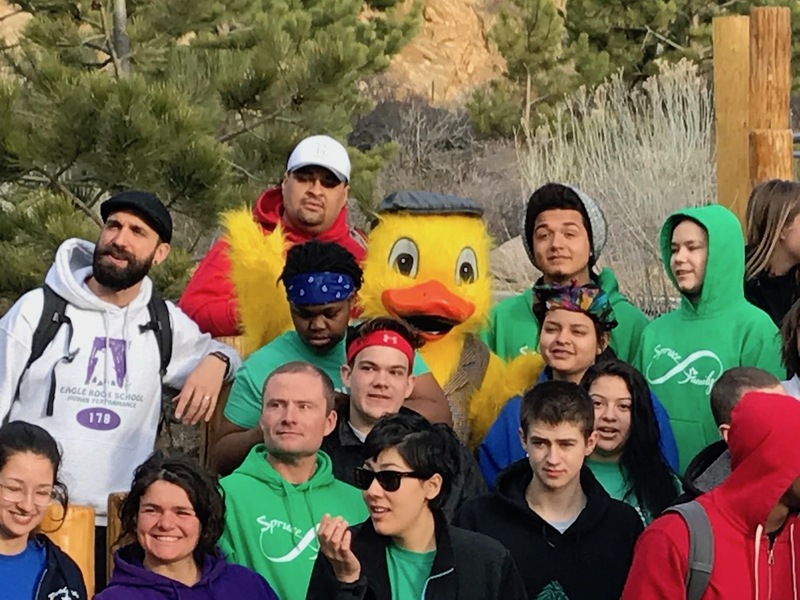 Here’s an interesting fact about the upcoming Estes Park Duck Race — a benefit event that helps to raise funds for among other things, our Graduate Higher Education Fund. 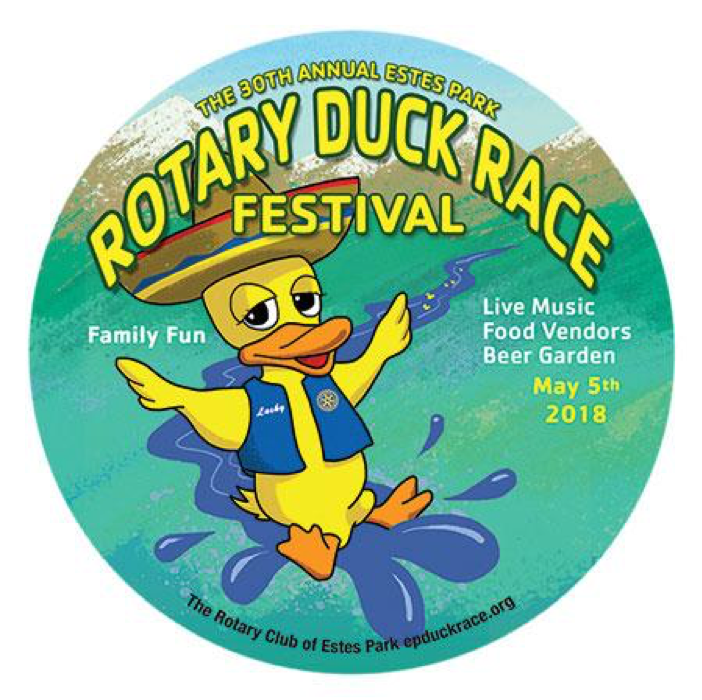 What used to be called the Rotary of Estes Park Duck Race has been elevated in status to a genuine festival. 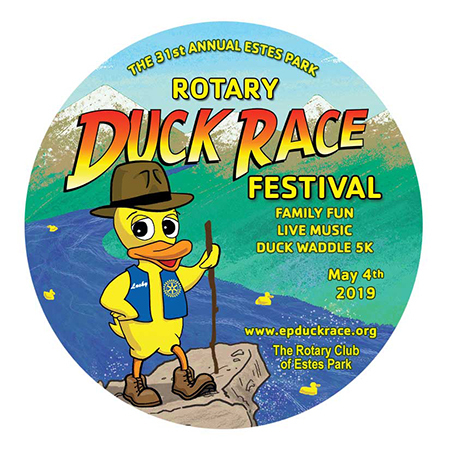 Now known as the Estes Park Rotary Duck Race Festival, the daylong event maintains its tradition — dating back 30 years — in which participants launch thousands of little yellow duckies downstream in hopes of winning from among hundreds of prizes. The grand prize is $5,000 in cash, with the following three winners picking up destination vacations at national parks. In addition, hundreds of prizes from Estes Park merchants and others will be handed out at the finish line. The leftovers have been warmed up — and warmed up again — and there’s finally room in the refrigerator for regular groceries. Nearly everybody’s back at school or work following the Thanksgiving holidays. Black Friday is a memory, Cyber Monday wrapped up a few hours ago and we’re now well into Giving Tuesday. 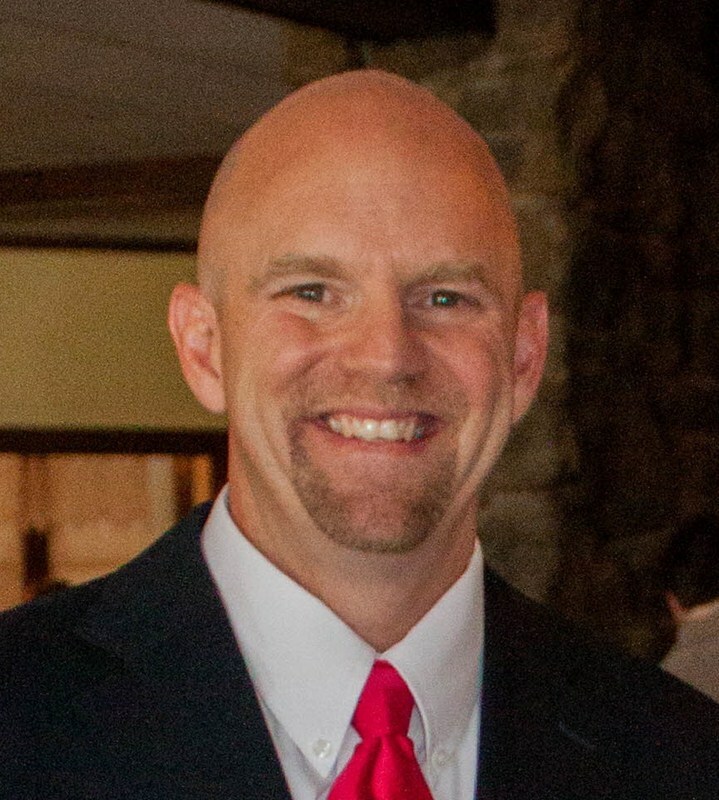 What is Giving Tuesday? Often touted as #GivingTuesday for those aficionados of hashtags, this 24-hour period — celebrated the Tuesday after Thanksgiving — is designated as an international day of charitable giving at exactly the time many families and corporations are focusing on their end-of-year donations. Donors often turn to their own communities for such offerings, and for those supporters, friends and alumni of Eagle Rock School & Professional Development Center, we can think of no group that would be more grateful than our own Graduate Higher Education Fund recipients. Just as the swallows return to Mission San Juan Capistrano each year, the rubber duckies return to Estes Park — this year on Saturday, May 5 — continuing a three-decade tradition that has seen more than $2.4 million returned to our mountainside community as a result of Duck Race Festival purchases and disbursements to local organizations like Eagle Rock. Dozens of area charities and organizations — including the Graduate Higher Education Fund here at Eagle Rock School — are recipients of nearly 100 percent of the proceeds from the Estes Park Rotary Duck Race Festival, which starts at Nicky’s Resort alongside the Fall River in downtown Estes Park, Colo.
Editor’s Note: Giving Tuesday is a global day of charity that follows Black Friday and Cyber Monday. Below, Eagle Rock Head of School Jeff Liddle presents a case for friends of Eagle Rock School to participate in today’s charitable event by focusing their end-of-year giving to our graduates — young people who many thought would never graduate from high school. Donations of any size are gratefully welcomed and 100 percent of these gifts go to support the higher education of our graduates. 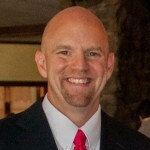 Gifts are tax-deductible and donors receive a letter that can be used for tax purposes. Few things bring me more joy than handing an Eagle Rock School diploma to a graduate. Sharing our Human Performance Center with mothers and fathers, sisters and brothers, cousins and grandparents, aunts, uncles and sponsors is a great honor. We celebrate and hold space for renewed hope. Hope of a future once seemingly unattainable. Three times a year at graduation we pause. We cry. We laugh. We celebrate. Three times a year Eagle Rock grads get to say, “Yes, I did it!” This, despite all the odds. Despite the doubters. Despite tremendous obstacles. All Who Dare is more than a cliché. Our graduates are living, breathing examples of it. They dare. Graduates walk across the Human Performance Center stage with hope, plans, and a solid high school experience that launches them into the future. Unfortunately, the daunting reality is this: That next step — the pursuit of higher education — is often financially out of reach. Whoo-hoo — it’s Duck Race season! We’re very blessed to have such an incredible base of support in the extended Eagle Rock community and we’re super excited to kick off this year’s race. And when it comes to fundraisers for our school’s Graduate Higher Education Fund, what could be more festive than a Rubber Duck race? Why, you can’t even say rubber ducky without smiling. So, when you’re offered the opportunity to make a contribution to our Graduate Higher Education Fund — and potentially win valuable prizes — it becomes an easy decision. Estes Park Duck Race mascot, Quilten T. Canvasback, visits with Eagle Rock students and staff in advance of the 2017 Estes Park Duck Race. Which probably goes a long way in explaining why the Estes Park Duck Race is such a huge success. Held each year on the first Saturday in May, this event has raised more than $2 million for local charities and organizations since the first event back in 1989. And among the big beneficiaries of the festivities has been Eagle Rock School’s Graduate Higher Education Fund.